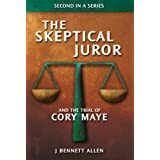 The Skeptical Juror and The Trial of Cory Maye is now available from Amazon in print format as well as Kindle format. I am unabashedly proud of this book. It presents as an alternate scenario the possibility that the police conspired to convict a factually innocent man of capital murder via false testimony. 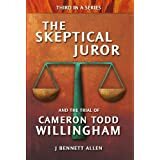 As the story is woven between a fictional jury deliberation of the case and the actual trial testimony, the book provides readers the opportunity to see if they can detect the tell-tale fudges, obfuscations, and outright falsehoods in the testimony before the testimony is deliberated by the fictional jury. 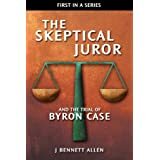 After all the actual trial testimony is deliberated by the fictional jury, read on to see how The Skeptical Juror pieced together the events that led up to the tragic shooting of Officer Ronald Jones and wrongful death sentence imposed on Cory Maye. If you should purchase and read this book, we would appreciate your honest comments on Amazon.